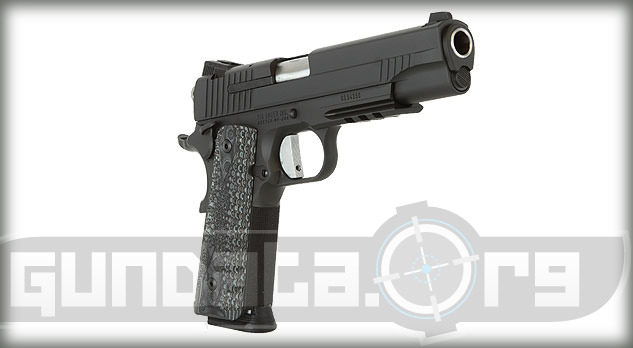 The Sig Sauer 1911 Extreme is a large frame, semi-automatic handgun designed for range, recreational, along with self-defense shooting purposes. It stems from the line of Granite Series Rail models that was later renamed to Revolution after non-rail versions were introduced. Then, it was named after John Browning's classic 1911 version with modern features. Some of the features include an enhanced beavertail safety, ambidextrous thumb safety, along with a skeletonized hammer. The frame also has a Picatinny rail for mounting a tactical light, laser, or sight rail onto it. 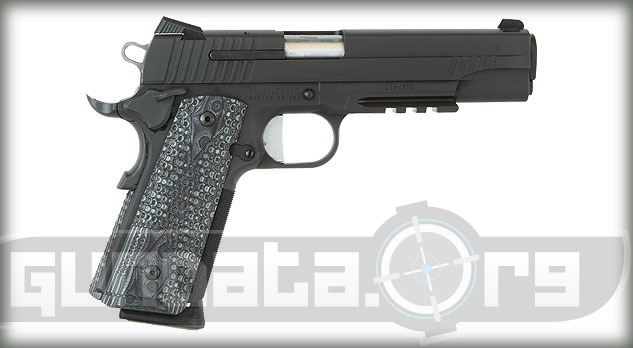 The overall length of the 1911 Extreme is 8.7-inches, with a height of 5.5-inches, and a barrel length of 5-inches. The slide material is made from stainless steel, and has a black nitron finish. The frame material is made from stainless steel, and has a black nitron finish. 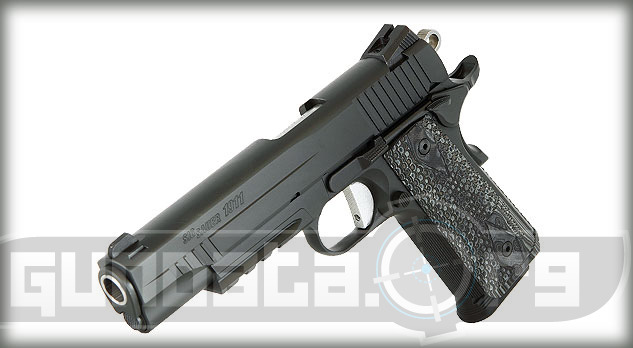 The grips are G-10 Hogue with an internal magwell and main spring housing. 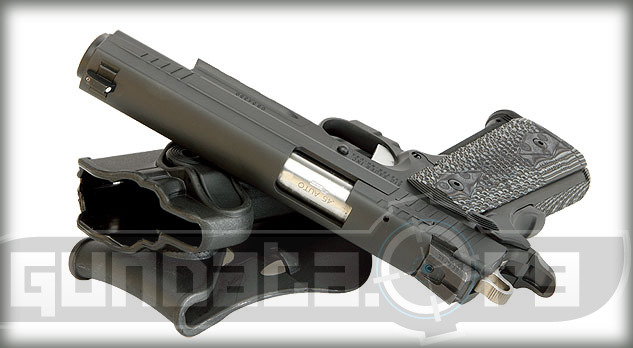 The magazine holds 8-rounds of .45 ACP ammunition. The sights are 3 dot low-profile night sights. The trigger is flat for more accurate pull while shooting, and has a pull of approximately 5-pounds as a single action.